Colombo has seen a dramatic increase in activity and development following the ending of the thirty year civil war in 2009. Much of the development has been credited to the real estate sector, which has experienced significant growth in the past five years. However, with many options available in the market, today’s buyers arelooking for secured investments.The decision to purchase an apartment is a critical one;it can have lasting financial and emotional repercussions. With this in mind, 447 Luna Tower is one of Colombo’s most secured investments with approximately 50% of the units already sold. 447 Luna Tower is undoubtedly set to become the most sort after location in Colombo. Adding to this the developers behind the project, Belluna Lanka Japan and Asia Capital PLC have proven credentials which would be the ideal marker for any discerning investor. Pricing in Sri Lankan rupees ensures that Investors will benefit from the greater capital appreciation brought about by LKR pricing as opposed to pricing in USD where the cost of units will increase when the USD appreciates. 447 Luna Tower has been strategically positioned in the upper mid-range segment, which places it within reach of a wide market. As such given the central location of the project – surroundedby the CBD, and walking distance from leading schools, hospitals, and high-end shops – combinedwith top-of-the-line fittings and finishes, with a focus on expansive living areas and well-ventilated common spaces, means the 190 luxury apartments 447 Luna Tower proposes will have unmatched value for the discerning buyer. Thecondominium is complete with: Burma teak flooring, German kitchens, Marazzi bathroom tiles along with Hansgrohe and Duravit fittings, double-glazed windows, and more. The condominium will also feature impressive facilities which include a rooftop infinity pool and a clubhouse on the same level; a landscaped garden with a walking path, a kids’ pool and a fully equipped fitness centre on the podium level. The project, which is scheduled to be completed in the second half of 2020, is poised to be the only condominium in the heart of the city to strike a perfect balance of elegant design, luxury living and convenience of location at a competitive price. This is the first of many projects to be undertaken through the Asia Capital and Belluna alliance. Other projects include a 300-room city hotel on Marine Drive in Colombo 3 which is currently under construction; an ultra-luxurious 57 room resort in Galle which opened in August 2018; as well as their first resort endeavour with Marriott International, debuting the ‘Westin Maldives Miriandhoo Resort’ entailing 70 villas opened in October 2018. 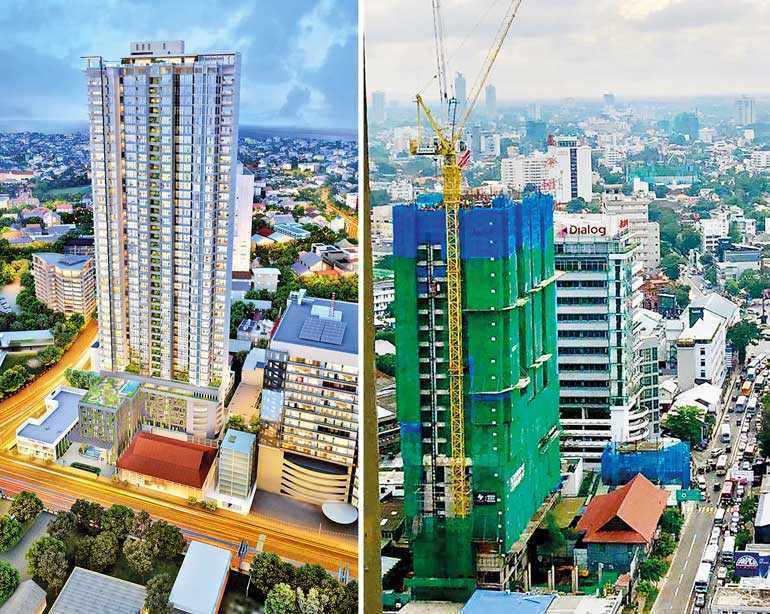 Belluna Co. Ltd., Japan’s long-term plans with Asia Capital PLC, reiterate the company’s confidence in Sri Lanka’s growing real estate industry.